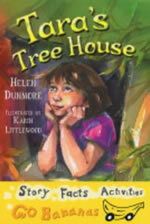 Tara’s Treehouse is a story about children away from home, and children in wartime. It is suitable for 7 - 10 year olds, and includes a factual section about the evacuation of children in Britain during the Second World War. Karin Littlewood’s illustrations glow with colour and imagination.